On the surface of it, there is very little to get excited about when you think about data analysis. It’s likely an image of a learned scientist springs to mind, laboriously poring over columns of figures on reams of spreadsheets, trying to figure out what to do with those numbers. Where’s the fun in that? Well, when you add in some situational context, that’s when the analysis starts to get interesting. How many sports fans are data analysts without even realising? Ask any ardent fan of a particular team and they’ll likely give you a pretty accurate prediction about the possible outcome of an upcoming game based on performance data. Baseball is no exception to this rule. In the book, Big Data Baseball, Travis Sawchik details how, in 2013, the Pirates used big data to overcome the longest losing streak in the history of North American professional sports, proving how important data analysis can be. A pastime as old and traditional as baseball takes into account dozens or hundreds of historical and current statistics quickly computed and flashed across the TV screen, covering individual player records, the type of pitch, hit angle or speed to base. 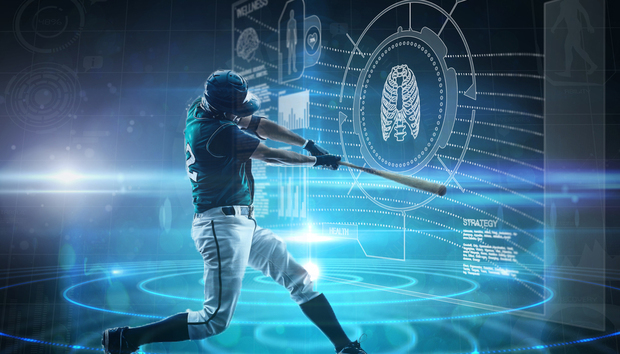 Within all this data lies key information that enables teams to decide player lineups, batting orders or who is pitching from the mound. We know today that we have no shortage of data. Quite the opposite in fact: we frequently hear the complaint that people are drowning in data. But what people are actually struggling with is the question of data relevance. All too often, business decision makers have data pushed at them from their internal teams with the primary driver being speed of delivery of the data rather than the actual context of said data. There’s a current obsession with automating the data management process because the belief is that speed of delivery of the data drives value when, in reality, the data only becomes truly valuable when it is presented with relevance and context. The coming of age for the Chief Data Officer is a reflection of organisations’ realisation that, while straightforward analysis can be automated, it takes a human to actually ensure the figures have some context and, therefore relevance to the organisation. Smart data analysis can help a team recognise and use its strengths and weaknesses to achieve a competitive advantage, it can help corporations make savvy business decisions to propel them to the top of their market. The key here, however, is to recognise which data is helpful and which should be ignored. Too much data can lead to an information overload, prompting decisions to be over analysed and delayed. In the case of the Pirates, team owners and coaches had specific ideas about the type of data needed to improve the team’s performance. Data becomes truly valuable when it is presented with relevance and context. Success is achieved when data is automated and analysed to ensure it is relevant to an organisation and its goals. In baseball, data is gathered and analysed to help eliminate the randomness and “luck” on the field. Team and player performance, player combinations, field conditions, weather and location are all analysed to predict future performance. In this same sense, to achieve business goals, an organisation’s data strategy needs to be founded on the right mix of automation and intelligent analytical input. The combination of automating data management processes with investments to find data context will help leaders make intelligent decisions that move their organisations forward.